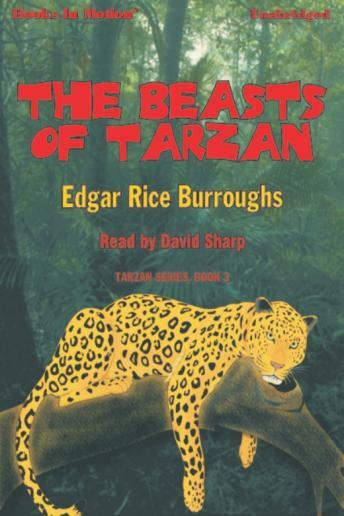 This is the third story in the TARZAN adventure series. This venture into the wild kingdom thrusts Jane into the thickest of demoniacal plots as Tarzan's nemesis, the dark and swarthy Rokoff and his rat-like lieutenant capture her with the intention of wreaking vengeance on Tarzan. But Tarzan assembles an awesome rescue squad; Mugambi, a giant native from the jungle who becomes the devoted follower and protector of Tarzan; Sheeta, a sleek and powerful black panther longing to apply fang and claw to those who would harm Jane; and the entire tribe of Akut, of the great apes, enraged and eager.